Visitors to Costa Rica’s northwest Guanacaste region probably don’t realize the area was once a thriving community for the indigenous Chorotega tribe. Indigenous history and traditions maintain a low profile in the Central American country, yet if you look closely they are all around you. Spreading across Costa Rica’s entire northern Pacific zone, Guanacaste, for instance, is called the “Chorotega region” after its original inhabitants. The Nicoya Peninsula is named for a Chorotega chief who ruled the area when the Spanish conquistadors arrived in Costa Rica in 1523. At the time of the Spanish conquest, the Chorotega were the largest and most technologically advanced tribe in Costa Rica, according toEncyclopedia Britannica and other historical reports. The tribe, whose name means “people surrounded by enemies”, were driven by warfare from Central Mexico many generations before the Spanish arrived and settled in southern Nicaragua, Guanacaste and the Nicoya Peninsula. 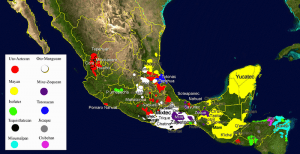 They spoke Mangue, an Oto-Manguean language from Central Mexico that was shared by indigenous groups in Honduras, Nicaragua and Costa Rica. Many of the place names in northwest Costa Rica are Chorotegan, including Guanacaste – name of the northern Pacific province and Costa Rica’s national tree. The word “Guanacaste” means “ear tree” for the trees’ seeds which resemble a human ear. Stretching all the way from the Nicaraguan border in the north through the Nicoya Peninsula, the Chorotega people lived in towns – some as large as 20,000 inhabitants – that were built around a central plaza, according to historical reports. 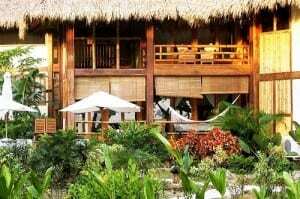 Their houses were rectangular, built of wood with straw roofs. The Chorotega maintained strong religious rituals and were competent astronomers and mathematicians. Corn was vitally important in the Chorotega culture, and affected the indigenous people’s agriculture, customs, artistic forms and religious beliefs, reports the Encyclopedia Britannica. Corn was the basis of their diet, along with beans, squash, cacao, meat and fish. The Chorotega had an active economic life with commerce and markets, and a semi-democratic social structure in which chiefs were elected. Cacao beans served as currency. The Chorotega frequently fought with neighboring peoples, states the Encyclopedia Britannica. Tribal warriors wore padded cotton armor and fought with bows and arrows and wooden swords tipped with small flint knives. Although they were eventually conquered by the Spanish, the Chorotega were reported to be courageous warriors who fought hard against the invaders. The history of indigenous peoples in Costa Rica is much like the rest of the Americas. The Europeans brought diseases to which the native population had no immunity; entire tribes were killed. Archaeologists calculate that up to 400,000 native people lived in Costa Rica when Columbus arrived in 1502, between the main tribes of the Chorotega, Guaymi (Ngabe), Terraba, Boruca, Maleku, Huetares, Bribri and Cabecar. Ultimately, it was the 16th century slave trade that decimated the Chorotegas. The Spanish rulers dominated the tribe by sending thousands to work in the gold mines of Panama and Peru. Today, there are only about 64,000 indigenous people living in Costa Rica, according to official reports. The Chorotega language, culture and community have been largely lost, except for the indigenous reserve of Matambú, located near the town of Nicoya. 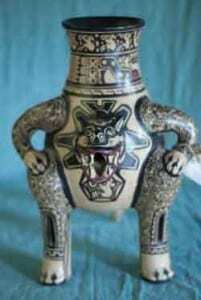 Some customs and traditions have survived, such as the production of ceramic pottery and figurines. 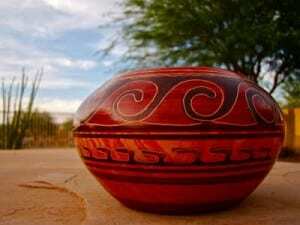 Chorotegan pottery is famous in Costa Rica, and is still being made in the towns of Guaitil and San Vicente. Visit Costa Rica’s Nicoya Peninsula and the fascinating land of the Chorotega people when you stay at Pranamar Oceanfront Villas and Yoga Retreat in Santa Teresa. The beautiful, luxury boutique hotel is located right on the Pacific Ocean at Santa Teresa Beach. Two-story poolside villas and elaborate beachfront bungalows are set in extravagant tropical gardens near a lovely free-form saltwater pool. Winner of Trip Advisor’s Traveler’s Choice and Certificate of Excellence awards, Pranamar Villas offers you daily in-house yoga classes, regular yoga retreats and workshops, all-inclusive yoga vacations, front-yard surfing, and surfing and yoga holidays.